We all have access to an unlimited and infinite source of guidance and wisdom. It comes from a source far greater than anything our limited egoic mind can fathom and yet we allow ourselves to receive the information that comes to us from intuition, life flows with ease and grace. Striving and struggle cease to exist, and we experience joy and love in ways we could never create on our own. 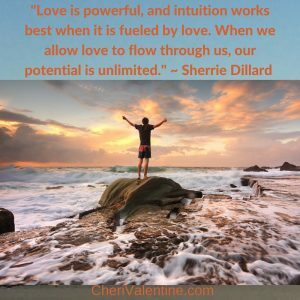 In this post I hope to introduce you the the styles of communication in which intuition speaks to you. Intuition is a powerful voice, yet often we are expecting it to be loud, obvious and bold. Yet when your intuition speaks to you, its often very subtle. Often you are not aware of its presence and guidance and the amazing support it offers you. Most people can relate to a gut feeling and will often comment on things after the fact. They say things like, “I know that was a mistake,” or “If I had only listened to my gut, I would have avoided this.” Conversely you may say things like “I have no idea why I canceled my flight, “ and then find out there were problems with it, and its a good thing that you did cancel. There are many ways that your intuition communicates with you. The four styles of intuition communication are emotional, mental, physical and spiritual. In this post I will explain briefly each one. What does it actually mean or what is happening when you feel in your gut? Have you ever really tuned in, paid attention, and let it guide you? Your gut is related to your third chakra, power center, and where many people do connect with intuition. Those who are physical intuitives will feel that. They tend to experience things through their body, through touch, and through nature. Physical intuitives will also feel other’s pain and discomfort physically They connect more easily to the life force in all living things, including plants, rocks, and animals. As a healer, during sessions with my clients, whether tapping or doing energy healing through the chakras, my body often communicates with me to guide the sessions. Here is an example. I was using EFT (tapping) with one of my clients. At some point, I felt my whole body relax and my back open up. When we stopped to check in, I asked her what let go? She smiled broadly and said, “As we were tapping I saw myself playing tennis…” Later in the session, my whole neck got very tense, so I asked my client what was wrong, when we paused tapping. She told me she remembered something that was upsetting, so we were able to address that issue. That is just one expression for physical intuitives. If I had not been aware of this communication, I would have thought that stiff neck was my pain, rather than communication and guidance to help me work with my client for her highest good. We will be exploring as well as practicing the full depth of physical intuition as well as the other intuitive styles during Develop Your Intuition Skills. Emotional intuitives take on the emotions of others. I was speaking with a friend the other day and he told me he was not intuitive. The he shared this experience with me. He had read a post by someone whose posts he ready daily. One morning, nothing was different in her words, yet he felt that something was off. So he reached out and asked her if everything was ok. She was so surprised that he asked because it was not. That was his emotional intuition at work. Many of my clients are emotional intuitives and it is my dominant style as well. Emotional intuitives work through their heart chakra. An emotional intuitive is like a large satellite that absorbs feelings wherever they go, and can be unsettling especially in large crowds. You may often feel like you are on an emotional rollercoaster ride and have no idea why. . It can be overwhelming being an emotional intuitive until you understand it and protect yourself. You will learn how to do that in during Develop Your Intuition Skills. Mental intuitives like systems and understanding. They thirst for knowledge, continual learning and expanding their minds. They usually love working with numbers and symbols. Many detectives use their mental intuition in solving crimes although they may not be aware that what’s guiding them. A mental intuitive can also receive messages and ideas telepathically from others. Mental intuitives work from their third eye, or sixth chakra. Then tend see things clairvoyantly. They often know things, yet not sure how or why they know. You can learn more about developing your mental intuitive capacity to your best advantage in Develop Your Intuition Skills. Finally the spiritual intuitive is usually the least grounded and merely tolerates being in the earthly realm since they crave freedom and openness. They have memories of perfection and have rich dream lives. Spiritual intuitives are able to live in the present more than any other intuitive type, but struggle with organization and time management. They work with angels and guides for their intuitive communication, guidance and strength. A spiritual intuitive is more likely to see spirits or ghosts as well as communicate with them. They are tuned in through their crown chakra, and encourage us to explore our own spiritual knowing. During Develop Your Intuition Skills, we will explore the full capacity of being a spiritual intuitive. Although everyone is able to access his or her intuition in all these styles, everyone has a dominant one. You can learn to tune into and strengthen your dominant intuitive language as well as cultivate all of them. When you listen to the guidance of your intuition, you become more grounded, confident and peaceful. Life becomes more flow and ease. Your business flourishes when you integrate intuition with logic and strategy. You feel happier and less stressed. For many, you stop feeling overwhelmed; anxious or thinking you are crazy. It’s time for us to awaken our intuition. Many have shut it down because it wasn’t safe, comfortable or encouraged as children. You may have been berated for seeing people no one else could or knowing things that you possibly could not know. You may have received negative feedback when expressing your intuition, and of course you didn’t know that’s what you were doing. You were just doing what was natural for you. But since you were not encouraged and in most case were discouraged, you felt alone, did not fit in and slowly shut down this part of yourself. It is time to awaken and remember what you already know for your own highest good and that of the world. 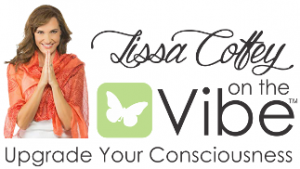 Join me on this discovery and awakening – Develop Your Intuition Skills. How do we live our lives? How do we spend our time? Are we learning and growing, serving and loving? We are given this magnificent gift of time, and how we use it is up to us individually. We’re making choices constantly. Choose wisely, with intention.